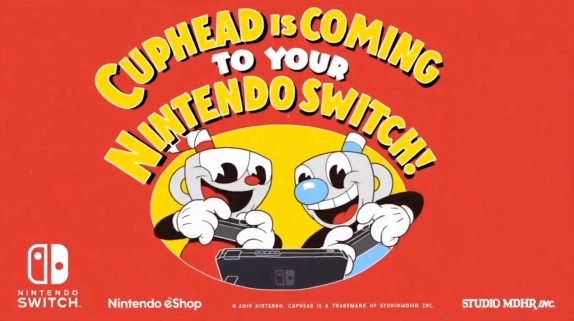 As announced today at GDC 2019, Nintendo have announced that 30s cartoon style platformer Cuphead will indeed be released on the Nintendo Switch. Due for a release on April 18th this year, the title maintains all the same content as the versions on Microsoft Windows and Xbox One, offering fans another chance to take on the Devil and reclaim the contracts he’s agreed with the other inhabitants of Inkwell Isle in the process. That’s not all either. No, as it turns out, it’s not just the game itself that’s heading to Nintendo consoles. Oh no. Apparently Xbox Live itself will see Switch support this year as well. That’s because the company has agreed a deal with Microsoft and StudioMDHR to investigate the possibility of Xbox Live features being brought over to the Switch, with Cuphead maintaining the same features as the original Xbox One version as a result. An interesting move to say the least, and one that definitely hints as a closer partnership between Nintendo and Microsoft as a whole. Then tell us what you think in the comments below or over on the Gaming Latest forums today!